I've been on the dress hunt for just over a month now. I was so intimidated to start because I really didn't know where to begin. I was too busy worrying about how daunting it seemed and psyched myself out of the whole thing! What a silly tactic! I mean I browsed through magazines, but it wasn't until I actually got into the stores that I started realizing which designers stood out to me and which styles I was drawn to. A dress can look so different in a picture, and especially on a hanger! 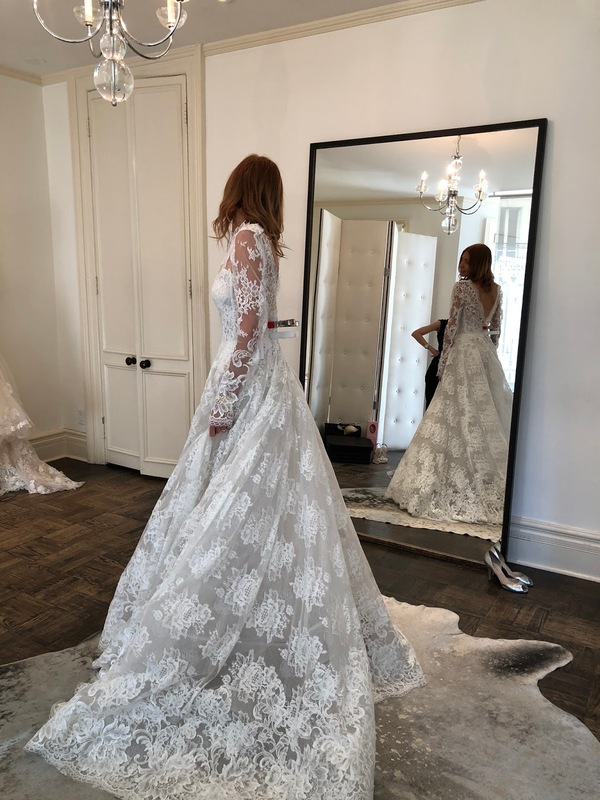 If I could tell you how many times I thought "no way", but tried on a dress to realize how beautiful it has, we'd be here all day! 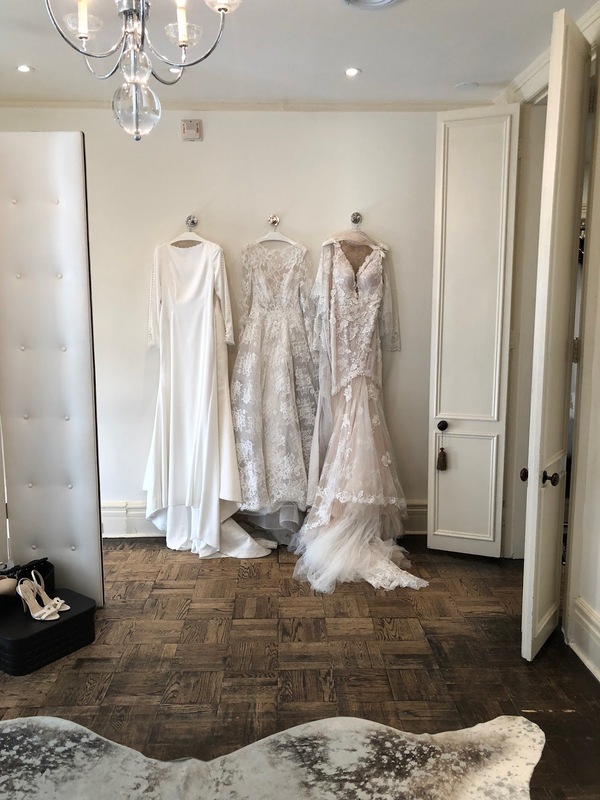 Shopping for your wedding dress should be fun, special and give you butterflies. 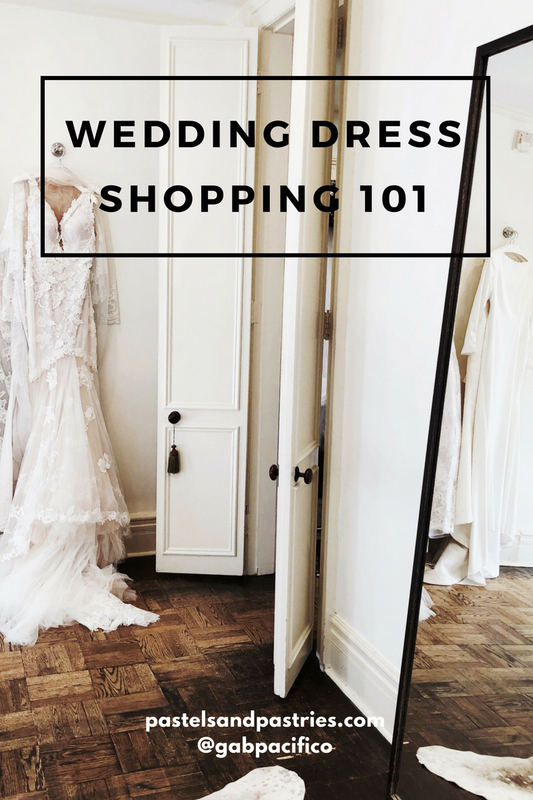 While I still have not found the perfect dress, I have a put together a few of my tips to make your dress search go as seamless as possible. Dress shopping is not something you want to rush. It's very important to know that it can actually take around 9 months to get the dress made and sent back to you. And then there are alterations! Do not leave it until the last minute. Even if you just pop into different stores to browse, you may discover what you like about some and what you dislike about others. Take the time to try on all styles. You only get one chance to do it, so go all out! Trying them all on will never make you wonder "what if...". If you want to enjoy your experience and not feel pressured or intimidated by other brides, book your appointments from Tuesday-Friday. 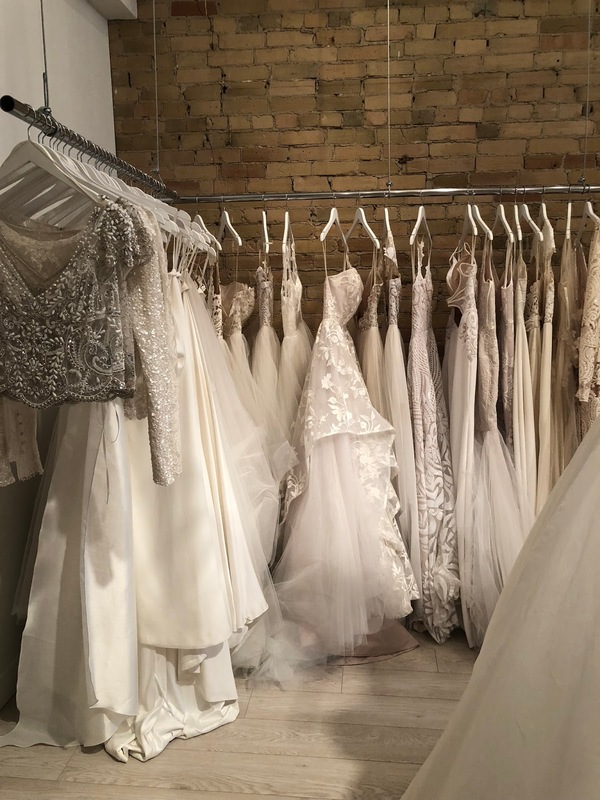 Most bridal boutiques are not open on Sundays or Mondays, and Saturday is sure to be the busiest day of the week! I took off time from work to make my appointments. I had the boutiques all to myself, the consultants gave me their undivided attention and I had free reign at all the dresses to try! Again, be strategic and book a few appointments on each day in and around the same area so you can maximize your time out of the office. Also, do you know what makes you bloat, gasey, etc? Avoid eating these foods right before your appointments, because you will not feel the best, and you want to feel your best! Think a max two (or three) people. Each time I went with my mom as the appointments were during the day, but I also had my best friend on speed dial and screenshotted her pictures, real time! I really didn't want to bring many people with me as it's more special and intimate this way. And too many opinions are just no good. I overheard one too many heated conversations while shopping and am so glad I avoided that! If your consultant brings you something to try on and you are appalled, just give it a go. Every time I thought I would hate something it ended up being not that bad! They know what they're doing and how all the dresses look on. It's so hard to judge from off a hanger! Don't be afraid to really try them on. And remember, sizing does not matter. Many gowns run small. Allow the consultant to order appropriate size for your measurements, not what you may think is your size. Here is a tip one of my consultants told me and it is SO key. She told me that once I find my dress, unfollow every bridal store I've followed on Instagram, stop looking at dress magazines, and move on to the next area of planning. You do not need to get sucked into "dress FOMO". You do not need to keep looking because guess what... there will always be a new collection of dresses coming out. There is no way to avoid it! Just remember the feeling you had when you put on your dress and that's it. Okay, guys, my search continues next week. Wish me luck!